Extreme Transmission Rebuilders completes general repairs for any type of vehicle. While we specialize and transmission, transfer case, and differential repairs we also do brakes and front end repairs. Many times when we are repairing a front differential we may encounter worn front end parts, such as ball joints, tie rods, axle joints, etc. The guys at Extreme can handle all this for you. Brakes and axle seals are also things we do every day. Our Saskatoon automotive computer diagnostics equipment will uncover the cause of any car trouble and define what repairs you’ll need to get back on the road. Drive or tow your car into our garage and we’ll connect it to our advanced machinery. We have the tools, knowledge, and supplies to repair or replace any gearbox. We can also fabricate a drop-in replacement gearbox to fit your existing foundation. As transmission specialists in Saskatoon, our mechanics team also frequently makes clutch repairs on standard vehicles. 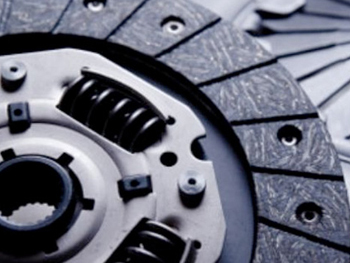 Whether your clutch is sticking, slipping, or completely worn out, we have the tools and inventory to repair or replace your clutch so you’ll be shifting into high gear again in no time.